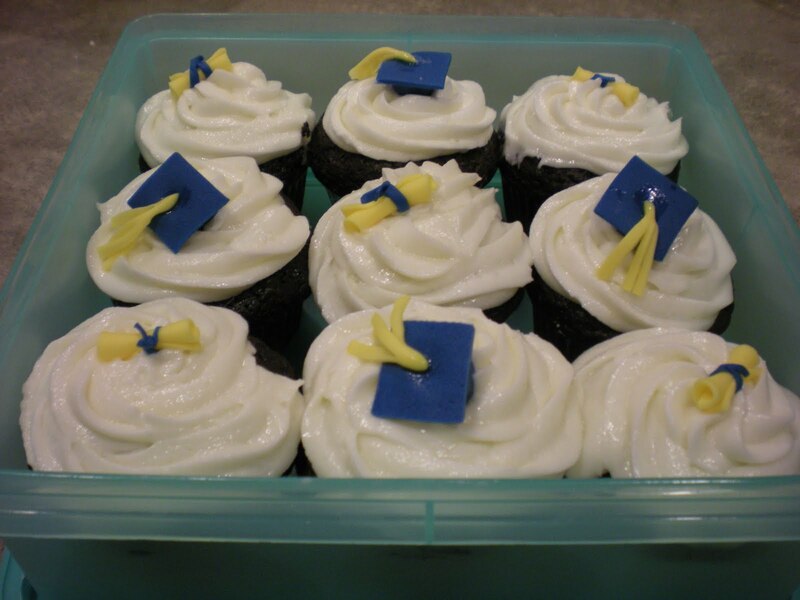 Martine isn’t a huge fan of frosting, so she requested a fun stenciled cake for her graduation from law school. This is “the ultimate” chocolate cake, torted and filled with a scant amount of almond buttercream. The top is stenciled with an intricate powdered sugar pattern. Congrats Martine! Stef recently completed her Masters degree at the University of Minnesota. This Minnesota Gopher-themed cake was just perfect for her barbecue celebration! Congratulations Stef! My friend Nate finished the coursework for his Bachelor’s degree, and we’re celebrating! 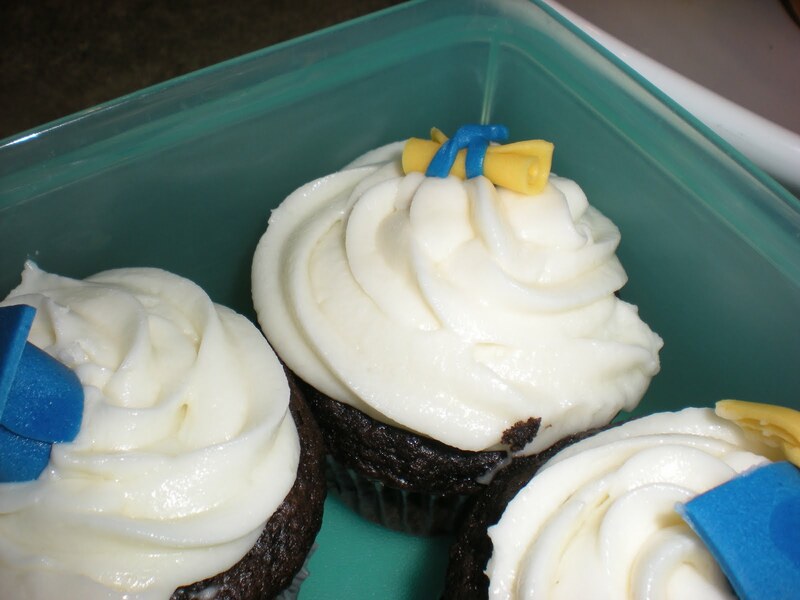 I’m going to surprise him with these chocolate cupcakes with vanilla buttercream frosting. 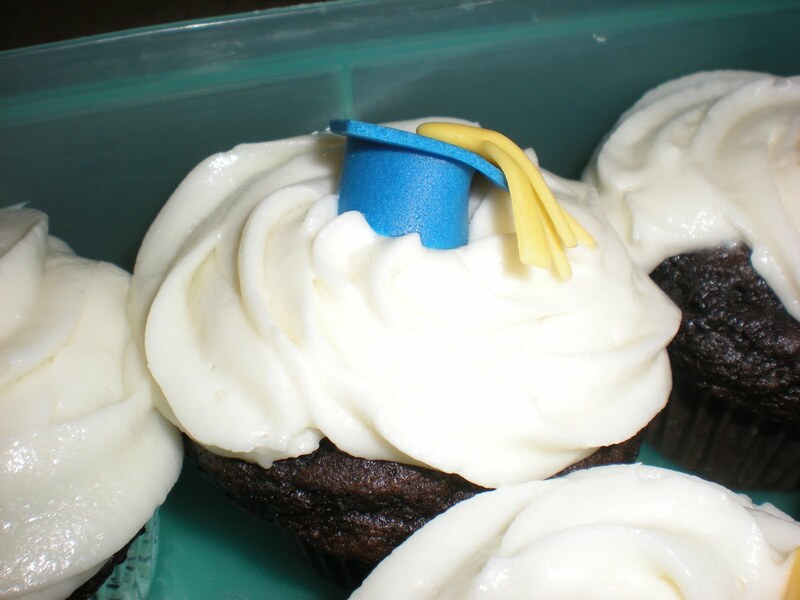 As an added touch, I’ve created cap-and-gown and diploma toppers for each cupcake. I can’t believe my little brother has graduated from high school! The fondant-covered display cake tiers are 6-inch, 8-inch, 10-inch and 12-inch rounds. 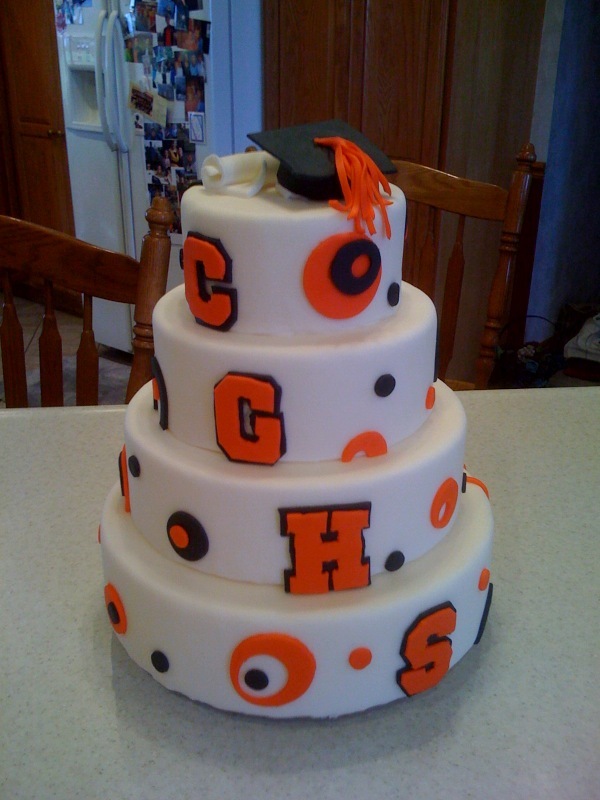 All of the details are made from fondant, including the paper “diploma” and graduation cap. Good luck Chris! If you would like a display cake for your special event, contact me for available sizes and costs.